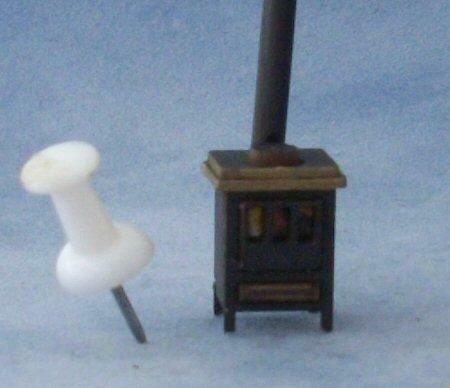 1/48th scale kit for a small stove. Kit is made from card and pre painted as shown in the picture. Kit can be left as it is or you can paint to suit your requirements. You could also add a light inside the stove. Measures 26mm tall x 11mm wide x 10mm deep. 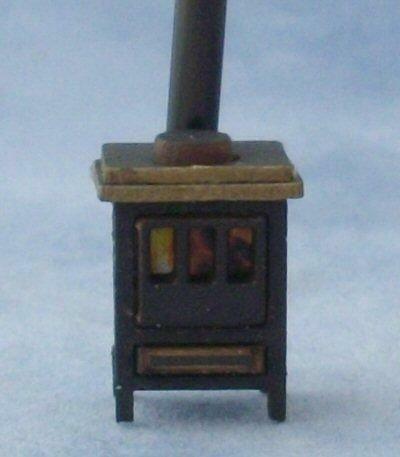 80mm tall with chimney which can be trimmed to size.